This entry was posted in Business, Community, Latest News, Meliden. Bookmark the permalink. We have EFAW ( OLD APPOINTED PERSONS ) courses on every Monday and Friday every week at £35+vat at our Dyserth training centre.We also have three day courses starting on Tuesdays through to Thursdays @ £130+vat but on offer at this time @ £115+vat. ( offer ends January 31st 2012 so book your course ). Requallification courses run Wednesday to Thursday @ £85+vat. For all other courses and prices please call Joanne or Pam on the number below. We have ex NHS ambulance staff that deliver the courses so they teach what they have treated and we can tailor courses to suit.We can also come to site for block bookings. First aid courses week comencing 6th Febuary. Monday 6th Febuary One day emergency first aid at work £35+vat. Wednesday FAWR requalification (of 3 day course)3 day course £85+vat. Friday 10th Febuary One day emergency first aid at work £35+vat. 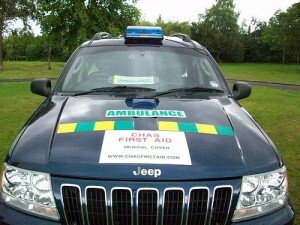 Saturday 11th Febuary one day emergency first aid at work £35+vat only 3 spaces left. Tuesday 14th Febuary 3 day first aid at work £115+vat valid for three years. AED course £75 inc Vat. All courses valid for three years and HSE approved at our centre in Dyserth or at your site. Course delivered by Ex ambulance man( NHS ) of 18 years.